If you overspent on something that stopped running before you expected it to, do you use it as a reminder to be more careful with your money next time? Or do you say, hey, it's okay if I blow too much money on the next item, because I already spent beaucoups of money on the previous one? That type of argument is one of the debates you hear over and over with the Derek Jeter contract negotiations.All too many people use the argument of "well, if the Yankee could spend money on A.J. Burnett and Carl Pavano and Kei Igawa and Kevin Brown and Randy Johnson and Javier Vazquez, they can spend it on Derek Jeter" to justify his contract demands. As for the Kei Igawa thing, that was a combination of bad scouting advice and the Yanks trying to compete with Boston picking up Dice-K. Also, keep in mind that the reason Yankees have kept him in the minors, and off the 40-man roster, instead of just dumping him is because his $4 million a year salary won't count as part of the team's MLB payroll. If they got rid of him, they would have to pay 40 percent luxury tax on that salary. * Part of the reason free agents are able to command big money is leverage; if the Yankees don't pay Cliff Lee much more than the Rangers will, he'll stay in Texas. The only leverage Jeter has now is "pay me, I'm a Yankee legend." There isn't a single major league team that will pay Jeter, or any other 36-year-old shortstop with a .710 OPS, anything close to $15 million a year for three years. If Derek were 32 coming off a bad season, the risk would be worth it. This year, not so muh. The Yankees are already giving Jeter extra for his intangibles. Notice that at no point in any of his public utterances so far did Casey Close suggest that re-signing Jeter would help the Yankees in the best position to win. 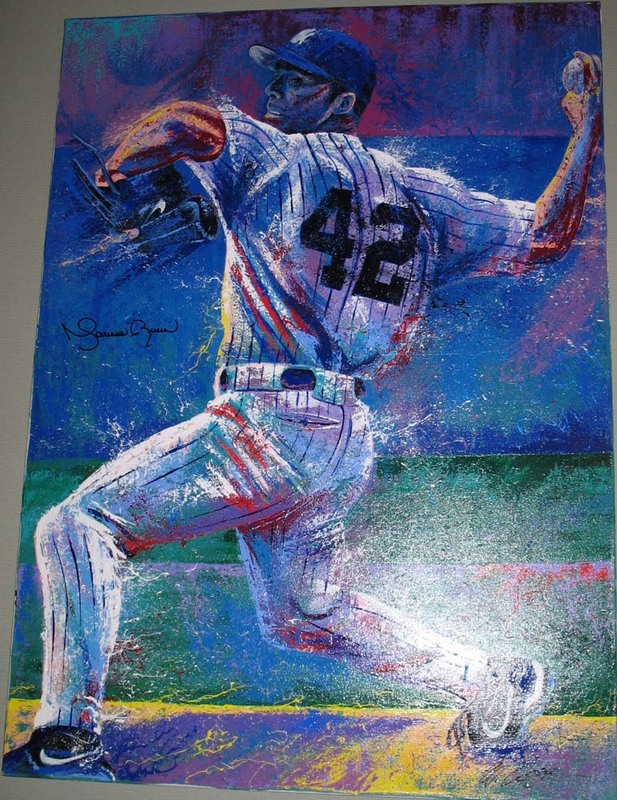 It's all about him being compensated for being a Yankee icon. Well, Yogi Berra is a Yankee icon, too, but I don't think it would do the Yanks any good to pay him $25 million a year. * Paying legacy money can hamstring a team: Jorge Posada's terrific 2007 season, combined with interest by the Mets, got him a four-year deal from the Yankees. Keep in mind that he had never been on the disabled list his entire career up until that point. I thought four years was way too much, as history has shown us that most catchers are no longer catchers at 40. But others said at the time that since he started catching at a later age, he wouldn't be affected by that. So much for that. Now the Yankees are stuck paying $13 million through the end of 2011 for a catcher who can no longer catch. * Where does it end? Robinson Cano will be a free agent in a few years. If the Yanks were to pay Derek Jeter $25M a year into his 40s, how much do you think Cano's agent is going to demand -- $35 million a year? How about when Phil Hughes and Brett Gardner are free agents? What’s the harm in offering Jeter $20 million a year over three years? If you can pay J.D. Drew $14 million per year . . . if you can pay a Japanese team $50 million just for the right to speak with Daisuke Matsuzaka . . . if you can buy a futbol club for $476 million, why not spend $60 million to bust pinstripe chops for all the ages? 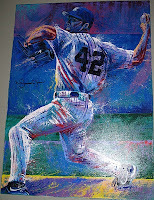 Happy 41st birthday, Mariano Rivera. In honor of the big day, here's a Mo-related post -- about how Squawker Jon and I went to Mo's New York Grill, Mariano Rivera's restaurant, in New Rochelle last Sunday. I have been wanting to go to Mo's for years now, so when I saw a deal at TownHog for the meal, I figured now was the time. Jon and I went there for a late lunch on Sunday. It only took about 18 miles from picking up Squawker Jon to reach the restaurant. We listened to the Jet game on the radio, and watched the second half of the Jets game there -- the restaurant has plenty of big screen TVs where you can get a terrific view from any seat in the house. At some point in the Jets-Texans game -- I think it was when the Jets were ahead 20-3 -- Jon pronounced the game over for the Jets. So much for that -- they had to come back at the very end in order to win! Anyhow, back to the really important stuff -- the food. We each had the filet mignon and split au gratin potatoes. The food was very delicious and well worth the trip. One of the cool things about Mo's is that it has steakhouse items, as well as a variety of other foods -- and a variety of other price ranges. The steaks are reasonably priced, but you can also get a sandwich or a burger for under $10. The menu also has seafood items. We also saw the dessert tray, but passed on getting anything, although they all looked good. The service was also very good. A young man named Dijon filled our water glasses and answered our questions about the restaurant. He was a pleasure to talk to -- enthusiastic, passionate about his place of employment, and very well-spoken. He pointed out and explained the picture above; it was one of the coolest things we saw. After we ate, we walked around Mo's New York Grill, looking at all the pictures on the wall. It's not just all Mo -- I spotted lots of individual pictures of Yankees, past and present. There are even more pictures in the Championship Room, a separate room in the restaurant, but since there was a wedding reception going on at the time, I had to sneak a peek at the photos there. One of my favorite pictures in the whole place was this one at left. 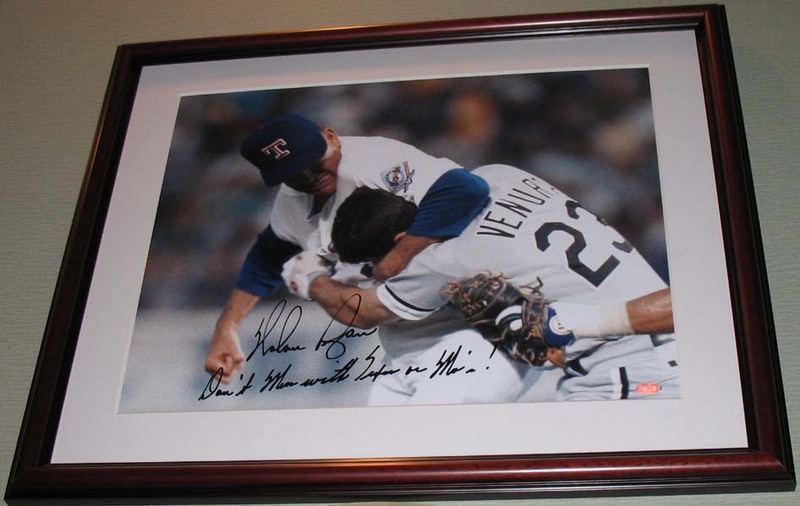 Yes, that's Texas Rangers co-owner Nolan Ryan back in the day, giving Robin Ventura a beatdown. 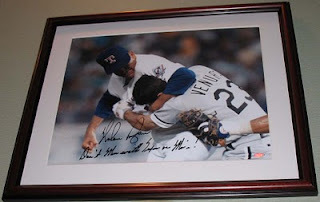 The picture is autographed by Ryan himself (although Ventura didn't sign it!) and it says, Don't mess with Texas or Mo's! How cool is that! Anyhow, if you're thinking of going to Mo's, definitely check it out. It was a cozy way to spend a Sunday afternoon. Nick Swisher talks about Derek Jeter and "Movember"
Here are some excerpts from the interview. Transcript is courtesy of Fox Business Network. As anybody who has read this blog for more than five minutes knows, I'm fairly cynical about the way the media builds up their favorite athletes as saints, and others as sinners. A lot of what we know about professional athletes comes from what the press chooses to tell us -- or not to tell us -- about a star. And frequently, even though they knew plenty of negative stuff on their favorites, we don't hear about those things until years or even decades later, like when the elegant, classy Joe DiMaggio was revealed to be a grudge-holding cheapskate. Over the last fifteen years, there is nobody in professional sports who has been the beneficiary of such positive press treatment as Derek Jeter. So even when Jeter is asking for a ridiculous amount of money in his next deal, looking like the worst of the me-first players, and the opposite of his carefully crafted persona, some members of the press are blaming the Yankees, not Jeter, for the mess. Shocker, I know. Whether by design, or the fact this story is totally out of control, Jeter is being more and more perceived as spoiled and greedy. This a far different portrait of a man who has been deified throughout his distinguished career. In the long run this ain't good for Jeter or the Yankees. If the Captain's storybook tale is even slightly soiled the Bombers' brand is harmed. In what has turned into a petty and mean spirited negotiation, the Yankees are eating away at Jeter's iconic image. The "damage" is being done through columns that stop short of calling Jeter a shot ballplayer, but contend his only leverage for a megabucks contract are past accomplishments and status. Stories reporting he is demanding $25 million per over six years lead to a perception that Jeter is money grubbing and delusional. That characterization doesn't play well, especially in this economy. Well, if Jeter doesn't want to be perceived as "money grubbing and delusional," then he shouldn't be asking for money and years way above his market value. Problem solved! But to blame the Yankees for this is silly. They haven't said boo about Mariano Rivera or Andy Pettitte in the press. They brought up that the Jeter contract negotiations as a pre-emptive strike, because they had an inkling on how ridiculous his demands would be. That's not the Yankees' fault -- that's Jeter's fault. And the only "brand" that is being damaged here is Jeter's, not the team. ESPN New York columnist Ian O'Connor has written yet another valiant defense of Derek Jeter, the subject of his upcoming book. And, guess what? There is still no mention in this article about said biography, a book that Jeter and his people are cooperating with. Shocker, I know. Last month, I guessed that the Yankees and Jeter would find a fair compromise at four years and about $23 million a pop. At the time I overestimated the team's eagerness to compensate Jeter for being Jeter, for succeeding where DiMaggio and Mantle failed -- namely, maintaining his iconic aura without treating others like dirt. I'll give O'Connor a lot of props for actually admitting that his prediction was off base, and even bringing it up again, when it would have been easy for him to pretend he never said it. That being said, his suggestion to pay somebody so much above market value for not being a jerk was a dopey idea in the first place. As Chris Rock might say, you're supposed to not treat others like dirt. What do you want, a cookie? Jeter's extreme faith in himself explains why he stands among the enduring Yankees and winners of all time, and why he could go down as the game's greatest all-around shortstop. It explains why he told his trainer, Jason Riley, and longtime Yankees executive Gene Michael that he feels he can play another seven seasons, through his 43rd birthday. also explains why Jeter is asking for superstar money. Like an aging Jordan, Jeter can't see himself as anything but, you know, a superstar. Please. You can't tell us that Jeter doesn't play for money, and then justify his greed and arrogance as being why he's great. His image is built on putting the team first. Oh, and by the way, Michael Jordan didn't play for money when he returned to professional play with the Washington Wizards. As part owner of the team, he took the league minimum in salary as a player, and donated it all with the Washington Wizards to help 9/11 victims' families. So that analogy doesn't really work here. In fact, one could argue that Jordan was really being "the ultimate money player who doesn't play for money," to use an O'Connorism! It's hard to think of Brett Favre these days in a positive way, but there was a time, not all that long ago, when Favre actually used to be arguably the most admired and respected players in football. He had a humble, aw-shucks persona the media and fans loved. Then he started believing all the hype, and started thinking he was bigger than whatever team he's on. Now Favre, once known as a team-first athlete, has become shorthand for describing the me-first type of player who puts himself above the team. My brother derisively refers to the Vikings as the Minnesota Favres, because everything is all about making Brett happy. I can't help but look at how much Derek Jeter wants in these contract negotiations, and hear how his agent Casey Close is baffled by the Yankees' stance here, and wonder that Jeter is becoming the new Favre. I've heard some fans say that the Yanks have to give Jeter whatever he wants because he's the face of the franchise. Because it's "his team." Because Jeter will be unhappy if they don't give him $25 million a year for as long as he wants to play. Because fans will stop rooting for the team if Jeter is gone. Excuse me? I root for the New York Yankees, not the New York Jeters. When A-Rod opted out, I didn't walk out with him, even though I was a big fan of his. Just the opposite -- I was furious that he cost the Yankees money, and said "good riddance." What does this whole "face of the franchise" thing mean, anyway? It seems to be incongruous to what Jeter is supposed to represent. One of the few things I like about Red Sox fans is the way they refer to the 2004 Boston team as "the 25." Not just Curt Schilling, or David Ortiz, or Manny Ramirez, but the entire team as the whole. But calling Jeter the "face of the franchise" that the media and some fans are pushing elevates Jeter as being bigger than the team. Very strange, especially since the captain has defined himself, and his supporters have defined him, as being the team-first guy. The opposite of the 24-and-1 player. The lifelong Yankee fan whose dream from childhood was to wear the pinstripes. The gutty, gritty player who will do whatever it takes to win. He never was as good a player as A-Rod, but he was supposed to be a better person. A better leader. Somebody who put the Yankees above himself. What are all those intangibles about, after all? Now we're seeing a different side of Jeter than the media has shown us for the past 15 years. And now we're hearing about how the Yankees have to give an aging shortstop with a .710 OPS whatever he wants, or he'll pout. I keep on coming back to this, when I hear about Jeter's ridiculous contract demands -- he wanted as much as a six-year, $150 million deal after the worst year of his career. Imagine how much he'd be asking for if he had had a good season! "It's making it seem like he is greedy, Martinez said of the public opinion. "He is not being greedy. He is going through a baseball negotiation like everybody else. It's made him look like he doesn't know what's happening in the real world, and he is not like that. "This guy gives millions to charity. He is only going through a baseball negotiation and for people to think he is greedy, that bothers me. Derek is my friend, and I would say the same thing about Andy Pettitte and Mariano Rivera. They all are quality people. If Jeter asking for more money per season than he ever earned in his career, after the worst season he ever had, during the most brutal economic times since the Great Depression isn't greedy, then what is? I mean, really. While it's great that Jeter gives money to charity, that doesn't mean that he deserves to be paid $80-100 million more than he's worth for doing so. It doesn't work that way. And Tino sets up a bit of a straw man for his good friend by bringing Andy Pettitte and Mariano Rivera into the conversation. They're all going through negotiations with the Yankees, but by the accounts so far, Mo and Andy don't appear to be asking for anything unreasonable. Jeter is. As for the idea that asking for such a huge contract is a standard part of negotiations, Johnny Damon is living proof that this doesn't always work with the Yankees. Heck, Damon had a great 2009, with 24 homers and the most memorable play of the World Series. But when he started making noise about not taking a pay cut, Brian Cashman lost interest pretty quickly. Granted, I thought the Yankees should have re-signed Damon, and that Cashman's last-minute, $2 million offer to Johnny was insulting. That being said, Damon and agent Scott Boras' initial demand for two years at $13 million each season was unreasonable. "There is no way around it, older players are being looked at differently," he said. "But what a lot of people forget is that guys like me and Jeter, we came out at the same time and we are special players. If things need to get done on a baseball field, we get it done." If I were Damon, I would have told King in the Post's interview to tell Jeter to lower his demands right now. But King didn't appear to directly ask him about how his negotiation failed for him. The Yanks offered him $7 million, he balked at that, then Cashman did the $2 million offer, then Damon finally ended up signing with the Detroit Tigers for $8 million. As a free agent, will Derek Jeter pull an A-Rod or a Torre? Derek Jeter and the New York Yankees are at an impasse right now in contract negotiations, with anywhere between $45 million and $105 million separating them. So what happens next? I think one of two things happens -- he could either follow the path of Alex Rodriguez or Joe Torre. Let me explain. Our Met fan friend Coop of My Summer Family fame is the first person I heard suggest that Jeter could pull an A-Rod, throwing agent Casey Close under the bus, blaming him for asking for too much money, and then going directly to the Yankees to negotiate. Granted I never bought that Boras somehow acted against A-Rod's wishes -- as dopey as opting out during the World Series was, I am quite sure it was A-Rod's idea. But at any rate, after seeing what a huge blunder he made, A-Rod rang up Warren Buffett for advice. Alex then ate some humble pie, threw Scott Boras under the bus, and managed to get an even bigger contract than he had before. Not that I think Boras cared about that -- no matter how much he got blamed, he still got his 10%, and made Alex richer than ever. The reason that scenario worked for A-Rod though, is that was plausible to believe that he was Boras' puppet, doing dopey things because the Avenging Agent told him to. Also, A-Rod was willing to humiliate himself in crawling back to the Yanks, begging for another chance. A less insecure, more prideful individual would have moved on, I think. Could Jeter do the same thing A-Rod did to extricate himself from this mess? I dunno. The media has been on Jeter's case -- for really the first time ever -- about his outrageous contract demands, but I could see them going along with blaming Close, and not Jeter, for how much things have gone awry. It wouldn't be the first time they sent something negative about Jeter down the ol' memory hole. The real issue would be the "crawling back to the Yankees and admitting he he was wrong" thingy. I'm not really sure Jeter could do it. I am quite positive he fully believes that he's worth $25 million a year for as long as he wants to play. Why wouldn't he? For 15 years, he's had everybody telling him how great he is. Combine that with a personality that cuts people off at the first sign of "negativity," as the euphemism goes, meaning that he doesn't have a lot of people around him questioning him and telling him that he messed up. I just am not sure how he would admit fallibility here. Remember what happened with Andy Pettitte a few years ago? He turned down an $11 million option the Yanks had, and figured he could get more money. As it turns out, he misjudged the market, and ended up crawling back to the Yanks for $5.5 million plus incentives. But Andy was able to acknowledge that he messed up, and say that while he wished he were making more money, he was glad to still be a Yankee. But Jeter is just not an Andy Pettitte personality type. The person he's most like is Joe Torre -- somebody who is used to being treated with deference, somebody quick to hold a grudge, and somebody quick to be insulted. So the longer this goes on, the more I can see Jeter complaining about the "insult" of only being offered $15M a year for three years, and him taking his talents to Baltimore or some other team. Granted, I don't think any team will offer him anything close to what Jeter would make as a Yankee. But the Los Angeles Dodgers never came close to matching Torre's old $8 million salary with the Yanks -- or even that $5 million plus $3 million in incentives offer that the Yanks made him for 2008. You remember, the one he deemed "an insult"? Yet it didn't stop Joe from walking out the door. And a year after leaving, Torre was still so sure he was right, he trashed the organization in "The Yankee Years," complicating his legacy, and further ticking off the Yanks' front office. Could Jeter do the same thing -- make that the same things, because he and his friends and family are fully cooperating with Ian O'Connor's upcoming biography? Absolutely. Remember, others, most recently Jon Heyman. have written that Jeter is already aggrieved that he's not the top dog he used to be among his teammates..O'Connor's new book promises to reveal info about the captain's declining influence in the clubhouse. Is it possible Jeter might trash the organization? I wouldn't be surprised. Granted, it would make zero sense for Derek Jeter to burn bridges with the organization that made him a New York legend, and that is offering him more money than anybody else would. But it didn't make much sense for Joe Torre to do what he did, either. After Bill Madden leaked the "$25 million over six years" figure that Derek Jeter wanted from the Yankees, it took all day for Casey Close to deny the number, finally saying at 4 p.m., "The recently reported terms of our contract proposal are simply inaccurate." Then it came out, according to the New York Times, that instead of $25 million, Jeter "only" wanted between $23-24 million over 4-5 years. Whoopee. "Still, the current offers — three years at $15 million a year by the Yankees and a maximum five years at $23 to $24 million by Close — suggest an obvious compromise in which the two sides would settle at four years and, say, $19 million a year." Puh-lease. What a deal -- for Jeter. He's still be in the top-10 highest paid players, when he's barely in the top-10 most-productive shortstops, let alone players, any more. This reminds me of my experience shopping at any Neiman-Marcus store. The prices are so high for most of the items, like $1100 for a dress, that when you see a markdown, like in one of the Neiman-Marcus Last Call stores, you start to think "oh, $250 for a pair of jeans isn't quite so bad." It is, but when you're seeing so many ridiculously-high prices, it distorts your idea of what you should spend, and what is reasonably priced. I wonder if that's the Jeter/Close strategy here. Remember, Bill Madden said he got his figures from sources in the Jeter/Close camp. Did they want this to leak out, so they could deny it, and then leak more "reasonable" figures? It sounds like a dopey strategy to me, but given how poorly the Jeter camp has handled this so far, it wouldn't surprise me in the least. It's amazing how much the most popular sports figure in the city has taken such a tumble, due to his greed. Today's New York Posts has a poll where almost 3/4 of their readers say that the Yankees' current offer is "fair." And Daily News readers in their site's poll aren't exactly supporting the captain in overwhelming numbers as well -- only 26% support Jeter, with 44% against him, and the rest blaming both sides equally. At any rate, I never want to hear Yankee fans tell me again about how Derek Jeter is all about the team, and A-Rod is all about money. If the pinstripes really meant so much to Jeter, he would have signed that very generous offer already, instead of being fixated on being paid like A-Rod. When Omar Minaya became Mets GM after the 2004 season, his first major move was signing a future Hall of Famer one year removed from a great season. The superstar was available because his team thought his best years were behind him and they did not want to give him a contract based on past glory. But Minaya felt that Pedro Martinez would bring the mediocre Mets instant respectability. And he was right. Pedro's signing helped get Carlos Beltran to sign with the Mets that same offseason. Pedro's personality made him a fan favorite. And on the field, Pedro showed he still had plenty left. In 2005, Pedro went 15-8 with a 2.82 ERA, 0.95 WHIP and 208 strikeouts in 217 innings. With Pedro as the new ace of the staff, the Mets went from 71 wins in 2004 to 83 wins in 2005. In 2006, Pedro had a great first half and made the All-Star team as the Mets roared out to a big lead in the NL East on their way to 97 wins and a trip to the NLCS. Injuries derailed the last 2 1/2 years of Pedro's four-year deal. But Pedro was a key part of the franchise's turnaround, and considering how things went after 2006, I will always see signing Pedro as one of Minaya's best moves. After the 2007 season, Jorge Posada's contract was up. The Mets needed a catcher and Minaya reportedly targeted Posada, who stayed with the Yankees but may have gotten a four-year deal instead of three thanks to his testing the market. So if Minaya were still running the Mets, you can bet he'd want free agent Derek Jeter. What if the Mets were willing and able to spend tens of millions of dollars this offseason, as they did in five of Minaya's six years as GM? What if they decided to trade Jose Reyes for much-needed starting pitching? What if Jeter were willing to leave the Yankees - and what if he were willing to come to the Mets? And what if he were willing to sign for something along the lines of the Yankees' reported three years, $45 million? This is where I'm glad that the Mets have a new general manager. One who was hired to clean up Minaya's mess. Minaya lived by the expensive acquisition and died by the expensive acquisition. Signing or trading for Pedro, Beltran, Carlos Delgado and Billy Wagner made the Mets a contender. But they were a win-now team, and when they didn't win, most of Minaya's subsequent moves ended up leaving the team with too many overpriced players who were aging, injured or Oliver Perez. Signing Jeter for 2011 is the ultimate win-now move, and the 2011 Mets are no longer a win-now team. Let's look at the best-case scenario - Jeter regains his 2009 MVP-caliber form and infuses the Mets with his "intangibles." Alderson has landed an ace for Reyes. The Mets would be better off in 2011, but if they gave Jeter anything close to his reported demands, they would be on the hook for $20-25 million per year for another aging player well past his prime. And that's the best-case scenario. It's more likely that Jeter is already well into his decline. The Mets would come across as trying to glom onto Yankee glory and failing. Meanwhile, the Yankees would do something like swing a trade for Hanley Ramirez, who would become this generation's Tino Martinez, replacing a legend and winning over the fans by helping the Bombers win more titles. Unlike Don Mattingly, still beloved as a lifelong Yankee (as a player), Jeter would see his reputation tarnished by deserting the Yankees for the crosstown rivals and failing to lead them to a title while his old team continued to flourish. The best thing for Jeter and the Yankees is for Jeter to stay with the Bombers for something close to what the Yankees have offered. The best thing for the Mets is for Alderson to build a winning organization without looking for a quick-fix that is unlikely to work anyway. After a month of Derek Jeter contract stories, we finally have a reported figure of how much the Yankee captain is actually looking for. New York Daily News columnist Bill Madden says that Jeter and his agent Casey Close are seeking $25 million a year over the next six years. This number is an even higher average annual value than his previous contract, and an absolutely outrageous amount for an aging shortstop who hit .270 last year to expect. "Throughout this process, Close and Jeter have never revealed what they're actually looking for - which is why so many Yankee fans, opposing club officials and nationwide media types are asking: Why are the Yankees treating Jeter this way? But sources close to the Jeter/Close camp have said their starting point was six years, $150 million and that they aren't budging on $25 million per year - which would effectively get the captain about even in annual average salary to Alex Rodriguez, the real benchmark from their standpoint in this negotiation." If these figures are true -- and I believe they are, simply because the Yankees would never have postured the way they had if the two parties weren't so far apart in what they wanted -- these are flat-out crazy numbers. Jeter never made $25 million in his prime. He thinks he deserves it now? Please. I mean, really. Who's advising Jeter these days -- LeBron James? Is Jeter, like King James was, surrounded by flunkies who tell him how wonderful he is all the time, without ever giving him a reality check? The longer this goes on, the more the captain looks completely out of touch as to how much he's actually worth. On what planet does Jeter think he's worth $25 million a year these days -- Planet Intangibles, where fist pumps and jump throws are worth more than hits and runs? And don't tell me about the marketing. It doesn't matter if the Yankees sell a gazillion #2 t-shirts. You know how much the team makes on that? 1/30 on the licensing shares, even though they sell 27 % of the team merchandise sold. "should have just told the world how greedy and unreasonable Jeter and his agent, Casey Close, are being in this negotiation. To do that, however, apparently would have been to betray an agreement the two sides made going in - which was not to negotiate in the media or reveal each other's positions. The reason the Yankees' offer is out there is because whenever a club makes an offer to a free agent it becomes common knowledge in the central offices of baseball and throughout the industry. On the other hand, the players' and agents' asking prices never get revealed unless they themselves let them be known." "It's pretty apparent that what the Yankees chose to pay A-Rod - $275 million over 10 years until 2017 - is at the crux of Jeter's and Close's stance. But the circumstances of that deal - dumb as it was - were vastly different than these with Jeter. A-Rod was only 32, coming off a year in which he'd led the majors in homers (56) and RBI (156) and had not yet revealed he'd been a steroids cheat. He was also going to have plenty of suitors in his pursuit of the all-time home run record - not at those ridiculous numbers, but he was going to get his money - and, in the meantime, the Yankees were facing losing their cleanup hitter. So what you have here is Jeter and Close telling the Yankees: "Who has meant more to this franchise?" Except that it doesn't work that way. " Remember, Madden isn't exactly Alex Rodriguez's biggest fan -- he suggested that the Yankees release him and eat the money on his contract after the steroid scandal. He also said that A-Rod will never get his Hall of Fame vote. But even Madden acknowleges that A-Rod's situation was different from Jeter's, and that the captain is out of line with what he wants here. One thing Madden didn't mention that I would add, is that economic times were much better in 2007. But for the past two years, we've had a terrible economy and double-digit unemployment. For Jeter and his team to act insulted over an offer that is still twice more than any other team would give him was ridiculous enough. But for him to want over three times more that generous $45 million amount is the most out-of-touch contract demand I've seen since Latrell Sprewell turned down a 3-year, $21 million contract extension from the Minnesota Timberwolves, saying "I got my family to feed." What's the deal with Joel Sherman? The New York Post columnist has been over the place on the Derek Jeter contract issue from reasonable to raving, and his latest column, suggesting that the Yankees give Jeter a contract to age 42 (! ), makes no sense, especially given what he's written before. * On November 5, he suggested the Yankees offer the shortstop a 3-year, $45 million deal, which turns out to be what the Yanks actually offered. But then he added on a 25-year, $75 million personal service contract, where the Yanks would essentially pay Jeter to be Jeter. This deal would set a horrible precedent for the team, and makes zero financial sense. * On November 12, he supported signing Jeter, but said pleasing the captain couldn't take the place of the Yankees' winning, writing: "This is a baseball team, not a fan club or an alumni association. Realistic discussions of Jeter are too often scuttled with his intangibles or his class or his history. That is all nice. But what do they have to do with winning games from 2011 forward? If you are honoring those elements with unquestioned playing time or a spot atop the order, you have lost what Jeter himself claims he is all about, which is team and winning." * On November 23, Sherman wrote very harshly about the shortstop's demands, saying, "Derek Jeter’s position when it comes to his contract negotiations appears to be this: I am Derek Jeter, pay me." * And today, the New York Post columnist thinks he's come up with a way to solve the negotiations. But not only is it inconsistent with what he's written in the past, it's even inconsistent with what he writes earlier in the column! "Frankly, I think the Yankees are fine here. Their three-year, $45 million offer is probably way more than any other team would bid. Therefore, every additional penny proposed represents bidding against themselves." But then he suggests they do just that, bid against themselves. One of the reasons Sherman exhorts the Yanks to do this deal is that if they don't give Jeter more money, "we might, for example, see the passive-aggressive Jeter emotionally detach himself from some of the day-to-day elements that he has taken on previously as Yankees captain and icon." Yeah, before you know it, he'll stand by idly and refuse to step in when one of his teammates is getting vociferously booed or something. "So how can both sides move toward each other? Here is the Thanksgiving gift: The Yankees give Jeter a six-year, $75 million contract that breaks down as $20 million a year from 2011-13 and $5 million a year from 2014-16. The twist is that each $5 million year becomes a $20 million season if Jeter reaches 500 plate appearances in the previous campaign. Thus, for example, if Jeter remains a full-timer in 2013 and totals at least 500 plate appearances, then he would make $20 million in 2014 rather than $5 million." How does this deal make any sense for the Yankees? Sherman suggests that the average annual value would be less, so it would save the Yanks a little on luxury taxes. Big deal. They still have to pay Jeter for six years, not three. How does that help? And Sherman misses some really obvious problems with his proposal. It's not so much the $20 million in the first three years (although that's still overpaying Jeter for lower production). It's giving him three more years. It's keeping in on the payroll until he's 42, when he's already showing signs of aging at age 36. And to top it off, making 500 plate appearances be the magic number to guarantee Jeter an extra $15 million a year will hamstring the Yankees in several ways. First off, it gives Jeter even less of an incentive to never take a day off, when any potential day off could mean a 75% pay cut. And forget about pulling him before the end of the game, either. He'll be playing as much as possible to make that money. Who wouldn't? It will also put immense pressure on whoever the Yankee manager is to play him every game, no matter what, or risk alienating Jeter and his rabid supporters. Then there's the place in the lineup, which is currently at the top. How are the Yanks going to move him further down in the lineup, even when his stats merit it, if it could cost him plate appearances? Sherman may think this compromise (which is a completely one-sided one, where the Yanks gain nothing, and Jeter everything) is a good one, but it makes zero sense financially. And having to get at-bats everyday for a player in his 40s, or risk him making less money than A-Rod (shudder!) will be an ongoing nightmare for the Yankee manager. How does this help the team win, or do anything other than make Jeter even richer? Sherman ought to remember what he himself said earlier this month: "If you are honoring those elements with unquestioned playing time or a spot atop the order, you have lost what Jeter himself claims he is all about, which is team and winning." The writer sometimes comes up with great ideas, but this "Thanksgiving gift" of a new contract idea is a real turkey. I really wasn't going to write again today on the whole Derek Jeter situation, but Sports Illustrated's Jon Heyman had some interesting tidbits in his article about the impasse. He thinks the Yanks were very irked by Casey Close's Babe Ruth comparison to his client. But the most fascinating source in the piece was who or what Jeter has effectively blamed for his season -- not his age, but hitting coach Kevin Long! The Yankees have made clear they believe $45 million is an overpay for a 36-year-old infielder. Jeter, though, has told friends he doesn't believe it's an age issue and that he finally corrected a flaw in his swing with a month to go in the season, a flaw his friends believe might have been corrected sooner had his old friend Don Mattingly still been the hitting coach. Oh, please. If he really corrected that "flaw in his swing" in September, then why did he, known for his great postseasons, hit only .250 in the playoffs -- even worse than his 2010 regular season numbers? The person this story makes look bad is not Kevin Long, who is passive-aggressively blamed, but Jeter himself. Especially since, according to Keith Olbermann's inside sources with the team, the Yankees were trying for months to get him to change his approach. The question various Yankee non-players had been asking Jeter since the spring, as the ground balls multiplied and the extra-base hits vanished, was a simple one: Do you realize you are about to be 36 years old? Do you understand that what's happening to you isn't some failure of strength? Are you getting the hint that you have to change your approach at the plate? It was asked in any of a dozen different forms by possibly as many would-be helpers, and only when the well ran dry as the dog days approached did Jeter finally accept the possibility. Anyhow, I don't think this "if only I had Donnie Baseball as my hitting coach" excuse is going to fly, not when the Yanks just gave Long a contract extension, and not when players like Curtis Granderson, who worked with Long this August on completely breaking down his swing, ended up hitting 14 homers in the last six weeks of the year, and .357 (best on the team) in the postseason. Don't really understand why Jeter's friends told Heyman that; it's counterproductive for him. When part of Casey Close's sale job is pushing he captain as such an iconic figure and important leader, it's a little strange to hear that he doesn't have many friends and allies in the clubhouse anymore. Besides, is being a Yankee about the history, and the lure of the pinstripes, or hanging out with your buddies? It's a baseball team, not junior high. I wonder if that's what the upcoming Ian O'Connor book's description of Jeter's "declining influence in the clubhouse" is all about. And if I were the Yankees, I would worry that the book is gonna be settling some scores. Is that going to be his form of payback -- being involved in "The Yankee Years II"? Writing such a book permanently tainted Joe Torre's image of classiness. Is Jeter going to go down the same road? I would think he'd be smarter than that, but I don't know what to think anymore. Hypocrisy Alert: Mike Lupica (!) calls Yankee brass "thin-skinned"
Over the past few days the Yankees seem to have lost their minds because Jeter's agent, Casey Close, told me Saturday night that he finds the Yankees' negotiating strategy "baffling." Not stupid. Not cheap. Not arrogant. Not insulting. Baffling. But in the thin-skinned world of the Yankees, they acted as if Close were Larry Lucchino of the Red Sox calling them the "Evil Empire" all over again. I find it hilarious that Lupica would call the Yankees "thin-skinned." That's so rich, coming from a sportswriter who will not allow readers to leave comments on his stories, who will not list an email for readers to respond to (and who used to run a fake email in his columns to direct readers to nowhere), and who reportedly had sports columnist Jason Whitlock banned from ESPN's "Sports Reporters" show for daring to disagree with him. Guess it takes one to know one. Yet Lupica's surprised the Yankees would take exception to that? Spare me. The Yankees act as if Close is the one who ramped up the rhetoric, and not the other way around. You know when the rhetoric really started on this thing? When Hal Steinbrenner said a few weeks ago that the Jeter negotiation "could get messy" before it ever really began. Here's what I think happened. My guess is that the Yankees had a fairly good idea, even before their official meeting with Jeter and his agent, about how much he thought he was worth. So they knew things "could get messy," which is why they did that pre-emptive strike in the press. Why else would they bring up the issue in the first place? How about you take the average that Jeter just made over the last 10 years - it would work out to $18.9 million a year - and make that the three-year offer. And if Jeter is still hitting .300 at the end of that, a fourth year, for the same money, automatically kicks in. That way Jeter isn't asked to take a salary cut after everything he has meant to the Yankees and continues to mean. You know what the difference is between $57 million for three years and what the Yankees are offering Jeter? It's just a little more than the Yankees paid Javy Vazquez last season. * For somebody who whines about the Yankees payroll advantage as much as Lupica does, he's awfully quick to demand that they overpay here, isn't he? And he acts like an additional $12 to $30 million is chickenfeed. * As much as I was against the Javy trade from Day 1, it wasn't the Yankees who agreed to pay him $11 million; it was the Atlanta Braves who gave him that contract. * This "pay cut" nonsense is awfully reminiscent of Joe Torre's whining over the Yankees' last contract offer to him. * And, if I remember correctly, you can award players for reaching certain milestones, and have options kick in when they reach innings goals. But it's my understanding that you can't have options go into effect over things like hitting a certain number, or winning X number of games. Test the market, Cashman says. Come on. Brian Cashman knows better than anyone that the market is always different here. Especially here. Always here. It's just the opposite in this particular case. Any other team would have to give Jeter more money, not less, if they wanted him to leave the Yankees. Yet nobody is so far. Shouldn't that tell us something? Could somebody please tell Hank Steinbrenner to shut up? Just when it looked like the Yankees were starting to win the PR battle in their contract battle with Derek Jeter, some reporter had to reach out to Hank Steinbrenner for a quote. And, as expected, Hank said something stupid. Shocker, I know. "As much as we want to keep everybody, we've already made these guys very, very rich, and I don't feel we owe anybody anything monetarily," the Yankees co-chairman said Tuesday. "Some of these players are wealthier than their bosses." The first part is technically true -- no star player has given the Yankees any hometown discounts -- but a little inartfully said. The last part is just silly. Even the richest player is a pauper compared to a baseball owner. Sure, Yankee star players may have a better cash flow than Hank probably does these days. But he's 1/4 owner of the richest franchise in sports. And it's not like he got that money on his own merits; he happened to be born into the Steinbrenner family. Bless his heart, but please, spare us the poor-mouthing. Look, I'm on the Yankees' side here, but what Hank said isn't helpful. If he had to say anything, I wish he had done something funny, more along the lines of when he wondered if A-Rod wanted to go into the Hall of Fame as a Yankee or as a Toledo Mud Hen. Unfortunately, Yankee officials were playing checkers when they needed to be playing chess, and that's how a reporter from the Associated Press managed to get through to Hal's loquacious brother, Hank, on Tuesday. The really baffling thing is that Jeter — through Close — has made his feelings public. For a decade, Jeter has stood apart from other players in that money has never been an issue. His expired 10-year, $189 million deal had no opt-out dates or escalator clauses. He has always been well paid, without carrying Rodriguez’s burden of being the game’s richest player. As it turns out, it was naïve to think of Jeter as above the fray. Gee, you think so, Tyler? It's laughable to think that somebody who signed the second-highest contract in baseball history at the time doesn't care about money. Or that he wouldn't have gladly taken the highest-paid contract in MLB history if it were offered to him. And any naivete on Kepner or other reporters' part on this issue is willful and deliberate. Do they think that Jeter does the Nike and the Gillette and the Gatorade and the Ford commercials just because he likes the products? Do they think Jeter hawked his "Driven" cologne just because it was a scent he wanted other men to wear? C'mon now. As Squawker reader Symphony always says about the players, "Make that money." Being well-compensated for your talents is nothing to be ashamed of. And Jeter has helped a lot of people with him putting much of his money into his Turn 2 Foundation. But I've been complaining for years about the unrealistic way the media has put Jeter on such a pedestal, "above the fray," if you will, as a living saint. That he's somehow a better person than anybody else in the game, who cares more about winning, and less about money, than any of his peers. The press has a penchant for doing this with certain favorites, like Brett "He's Like a Kid Out There" Favre, even though they know better. Like the way they covered for Joe DiMaggio, and pretended he was so classy and dignified, even though he was obsessed with both money and with being called the greatest living ballplayer. Or when Jeter biographer Ian O'Connor claimed the captain "is the ultimate money player who doesn't play for money." Spare me. Most athletes, Jeter included, think of themselves first, last, and always. Nothing wrong with that -- you have to be that way in order to perform at such a high level -- but let's just be honest about it. They're not going to play for free. Why should they? If Jeter is baffled, chances are he is hurt, and his pride is wounded. We might find that hard to imagine when the dollars are so high. But in the end, it might be a good thing. All the bickering reminds us of the depths of Jeter’s competitive instincts. Extra motivation never hurt an aging athlete. Heaven forbid we ever admit that somebody who is building a 32,000 square foot Florida mansion known by neighbors as "St. Jetersburg" would ever be all about the Benjamins. No, Kepner still can't quite to bring himself to admit that Jeter might actually care about money; he's got to turn it around to show that it's just more evidence of his "competitive instincts" and stellar character. It's true money is a way of keeping score. But as I've said before, the real thing here is that Jeter thinks he deserves to make more than Alex Rodriguez for the way he's carried the pinstripes all these years. The irony, of course, is that it doesn't this fit with either the "Jeter doesn't care about money" meme, or the "A-Rod is sooooo jealous of Jeter and not the other way around" meme that the media have constructed over the years. It will be some time before we know whether Terry Collins was a good hire as manager of the Mets, but another Sandy Alderson move announced Tuesday is already a positive sign of good things to come. The Mets are offering Pedro Feliciano arbitration. There was some speculation that the Mets would not offer arbitration to Perpetual Pedro. With reportedly as little as $5 million to spend this offseason, some speculated that it might not make sense to tie up as much as $4 million in a lefty specialist who has been greatly overworked the last few seasons. Feliciano declines arbitration, meaning the Mets get a supplemental first-round pick. Feliciano accepts arbitration, meaning the Mets get to keep their most consistent reliever, who has stayed healthy for several years despite Jerry Manuel's overuse and has shown he can pitch in New York. Feliciano accepts arbitration, and Alderson decides that the $4 million or so could be better spent and uses Feliciano as a trade chip. Compare this situation to what happened when Omar Minaya traded Billy Wagner to the Red Sox just before Wagner was to become a free agent. The Red Sox offered Wagner arbitration, knowing he would decline because he wanted to find a closing job. When Wagner signed with the Braves, the Red Sox got two 2010 first round picks in compensation, the 20th pick and the 36th pick (supplemental part of first round). Boston lost its own first-rounder to the Angels for signing John Lackey, but along with the two picks for Wagner, they picked up another supplemental first-round pick for losing, ahem, Jason Bay. Time will only tell, but we're as happy in the draft room as we've been in any year that I've been here. We feel it broke our way and we couldn't be more excited with all three guys." Thanks to trading for Wagner and offering him arbitration, the Red Sox have two top prospects, Kolbrin Vitek and Bryce Brentz. By trading Wagner, the Mets saved some money in salary and acquired pinch-hitter Chris Carter. Under Alderson, the Mets are finally recognizing the value of high draft picks and of maximizing the value of your assets. As for Collins, he's fiery and places an emphasis on fundamentals, which means that he has the same traits that many Met fans like in Wally Backman. He'll have to be more than ready, he'll need to be charismatic some 300 times a year, during every pre- and postgame interview on SNY. It never bothered me that Willie Randolph was not charismatic until the Mets started stumbling on his watch. And I enjoyed Jerry Manuel's charisma until things fell apart under him. The people most concerned with how someone deals with the media are the media themselves. Everyone else is more concerned with whether Collins can win games. If the Mets win under Collins, I don't care if his Q and A is along the lines of Captain Pike on the original "Star Trek," who answered questions by blinking a light once for yes and twice for no. And as for Collins ruffling feathers in the clubhouse and having a run-in with none other than Mo Vaughn, the Mets in recent years could use some shaking up. Ultimately, it comes down to what kind of players the Mets have, which is why the Feliciano move is so important. Was today a good day for the Mets? Blink a light once. It's so on. If Casey Close thought the Yankees were too harsh on his client Derek Jeter before this week, I wonder what he's thinking after reading today's New York Post, where GM Brian Cashman speaks out against Close's "baffling" remark. “There is nothing baffling about our position,” Cashman said. “We have been very honest and direct with them, not through the press. We feel our offer is appropriate and fair. We appreciate the contributions Derek has made to our organization and we have made it clear to them. Our primary focus is his on-the-field performance the last couple of years in conjunction with his age, and we have some concerns in that area that need to be addressed in a multi-year deal going forward. Cashman also told King that the Yankees would not offer Jeter arbitration, a fact that the New York Daily News' Mark Feinsand was apparently unaware of; he has a whole story suggesting the opposite. I think Derek Jeter and the people around him have really miscalculated his value here, and mishandled these negotiations. For one thing, you know what is missing from the spin from his agent, his trainer, and an insider in the Jeter camp? There was no talk about how Jeter wants to get the Yankee another ring, and no talk about how re-signing him will get the team to that goal. Instead, they're acting like it's a marketing deal or something, with Close comparing Jeter to Babe Ruth (!) as a Yankee icon, and citing his intangibles. Frankly, the Jeter camp reminds me of that old adage about lawyers: "If you have the law on your side, argue the law; if you have the facts, argue the facts; if you have neither, pound the table." There is a lot of table-pounding going on right now. Look, Jeter has the right to ask for whatever he wants, although in an age of double-digit unemployment, him griping about only making $15 million a year might not go over so well among fans. But the thing is, as I've said before, his image is based on him being somebody who cares more about being a Yankee than about money. He's supposed to be the guy who is all about team and all about winning. I've always thought that the mystique was a bit much -- I've watched the media build up so many athletes as saints, only to see years later that they had feet of clay. And the next time Jeter gives the Yankees a hometown discount will be the first time. But Jeter and his agent can't have it both ways. If they're going to treat this like a business, they can't be surprised when the Yankees do the same thing in return. And, as I keep on saying, the longer this negotiation goes on, the worse this looks for Jeter. Derek Jeter’s position when it comes to his contract negotiations appears to be this: I am Derek Jeter, pay me. It doesn’t matter he has almost no leverage or he is coming off his worst season or the production of shortstops 37 and older in major league history is dismal. When Jeter had the leverage a decade ago, he translated it into a 10-year, $189 million contract. Now the Yankees are not supposed to use their leverage. Why? Because I am Derek Jeter, pay me. The Jeter camp described the negotiations as baffling. Really? It is baffling that the Yankees want to pay Jeter for what he is and what he projects to be in his declining seasons rather than for what he was? They already have paid $205 million for his prime, a little fact the Jeter camp does not acknowledge much publicly. 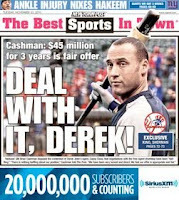 After all, it is hard to evoke sympathy with the fans/media about disrespect when the disrespecting party is offering a deal that would make Jeter a lifetime quarter-of-a-billion dollar player.....Yes, now we will hear about intangibles. But how did those intangibles translate last year when Jeter led the majors in making outs? All the "I'm Derek Jeter, pay me" lines seem to echo the "bleep you, pay me" scene in "GoodFellas," where the mafiosos want to get paid by the businesses who owe them money, no matter what financial issues they may be having. I wonder if that is intentional on Sherman's part. Sherman also writes, "Jeter can’t argue the age or production concerns well, so he will try emotion, tied to throwing out ceremonial first pitches in 2021 or some other nonsense. It all comes down to this argument, though: I am Derek Jeter, pay me." I wrote something for The Faster Times today, about how ridiculous Derek Jeter agent Casey Close was in comparing his client to Babe Ruth. And jusr prior to that, we had Jeter's personal trainer making his case to Jeter biographer Ian O'Connor. Now there's yet another inside source to the Jeter camp -- this one anonymous -- griping about how poorly their guy has been treated, and calling it an "arbitration ambush" approach. What's next? Jeter's mother complaining? "Players like Babe Ruth, Lou Gehrig, Joe DiMaggio, Mickey Mantle - and Derek Jeter - are what make the Yankees the Yankees," the source said. "The iconic players make the iconic franchise, not the other way around." It's both, actually. Would Jeter be an icon if he were with, say, Houston, all his career? I think not. Craig Biggio had over 3000 hits for the Astros, with some similar career numbers as Jeter, but he never got his level of fame -- or endorsements. Feinsand himself claims that the Yankees " have not been shy in pointing out Jeter's shortcomings, presumably as a counterpoint to what he brings to the franchise - a peculiar approach to signing a free agent of Jeter's status." Um, no, they haven't, unless you think that Randy Levine mentioning that it's a different contract situation than it was 10 years ago is a smear tactic. Anyhow, the anonymous source also says, "If you have a valuable asset, why would you want to devalue it? That's what they're doing. It has an arbitration feel to it." Huh? By most accounts, instead of devaluing him, they've offered Jeter two to three times his current market value. How insulting, right? According to what Feinsand's source told him, Jeter "is likely looking for a four-year contract that takes him through his 40th birthday - similar to the deals the Yankees came to with both Jorge Posada and Mariano Rivera three years ago. "He's not trying to be unreasonable," the source said of Jeter. "He just doesn't want to go through this again in a few years." Using Posada here is a great example -- to show why the Yanks shouldn't give Jeter a four-year deal! The year after signing that contract, Jorge got injured. And while he bounced back in 2009, he was awful in 2010, lost the ability to throw, and is no longer the starting catcher. And the Yankees still owe him $13 million for 2011. That's exactly what they're trying to avoid with the captain. If Derek Jeter wants to keep that "above it all" status, he might start by getting his mouthpieces to shut up and stop pleading his case in the press. You know, like the way free agent Mariano Rivera, the most valuable player of the Yankees of the last fifteen years, is doing right now. Is Ian O'Connor Derek Jeter's media mouthpiece? According to ESPN New York columnist Ian O'Connor's most recent piece, not only will Derek Jeter play until 2017 (! ), but he'll be doing it at the highest of levels, too, with most of those years at shortstop. At least, that's what Jason Riley, Jeter's paid personal trainer, says to the columnist. O'Connor, the writer whose upcoming book about Jeter has the full cooperation of the captain and the people around him, devotes a full column to letting Riley have his say, with very little in the way of tough questioning or skepticism. Oh, and by the way, O'Connor is still not disclosing that Jeter book in his ESPN writings, a potential conflict of interest that raises a whole lot of questions. Like, is Riley a source for his book? Did Jeter direct his trainer to speak for him, and let it be known that he wants to play until he's 43? And does the 2017 number have anything to do with Alex Rodriguez being signed through that season? Speaking from inside a Jeter camp that rarely opens a public window on its soul, especially during contract negotiations, Riley mentioned George Blanda, George Foreman, Dara Torres and Brett Favre as athletes who thrived after turning 40. The trainer believes Jeter will join those golden oldies in Mariano Rivera's bullpen. "I don't think anything can hold Derek back other than himself. If he decides to hang it up before [he turns 43], then that will be his decision. If Derek decides at 41 he's already given his best years, then that's where it will end. But if he decides to go until he's 43, he'll do everything in his power to play the game at a high level and help the team through that time. I think there's so much determination inside of Derek that he can do it." What nonsense. Brett Favre may still think he's like a kid out there, but age has caught up to him. As it does to everybody eventually. If all it took was determination to succeed, then why would any elite athlete ever need to retire? You don't think Michael Jordan -- one of the greatest competitors of all time -- wouldn't still be out there on the basketball court at age 47 if all it took was inner drive? "I won't speak on whether it was worse, the same or better," Riley said, "but I've definitely had conversations with Derek about what our thoughts are on this past season. We're looking into it and we're really going to evaluate it. I've got a lot of people, my staff around me, who are evaluating this. Better? Come on now. Was Riley one of the Gold Glove voters or something? "It's a long season, and your body gets beaten up, and we have to find a way to keep Derek fresh over 162 games. It's a work in progress." As for finding "a way to keep Derek fresh over 162 games," how about the captain agreeing to a day off once in a while? Mind-blowing, I know! "You can't put an age on the heart of an athlete, and Derek's got one of the purest hearts in sports," Riley said. "He's not going to allow himself to have another down year, if he even considers 2010 a down year. His internal drive separates him from others. I've worked with very few people who go after the game like he does." If Jeter doesn't consider 2010 a down year, he is delusional, not determined. Many players going for a new contract have a great year, like A-Rod and Jorge Posada's terrific 2007 seasons. Jeter has the worst season of his career in a walk year, but I guess there's nothing to worry about because of his pure heart and internal drive or something? C'mon now. At any rate, between this piece, and the Casey Close whinefest in today's Mike Lupica column, which seems to consist of "Waaaaah, waaaaah, the Yankees said Jeter was the modern-day Babe Ruth, but they won't give him a gazillion dollars," Jeter's strategy this year is terrible. Doesn't he realize that the longer this goes on, the worse he -- and not the Yankees -- look? If these last few weeks of the "Jeter vs. the Yankees" saga have taught us anything, it's that the Yankees' captain is human. If Jeter were to live up to his own myth, he'd shrug, say "I've been far more lucky than unlucky in my professional life" and sign what the Yankees offer him, which stands as much more than any other club appears prepared to give him. But the pride and competitiveness that help make him such a great player? They don't take the winter off. After all, if Jeter really cared about absolutely nothing besides winning, he wouldn't have contributed to the tension with A-Rod that didn't dissipate until A-Rod's 2009 comeuppance. And he wouldn't bristle about any questions concerning his future spot in the lineup or position. He may give you the "nothing matters besides winning" line, but good luck getting the "whatever is best for the team" line. Jeter's not doing anything that any other star in his position wouldn't do. The difference is, we've been told for so many years that he is above such things. So far, two of my three choices for NL awards have come through, and the third one lost by only one vote. For best NL starting pitcher, I had Roy Oswalt higher and Tim Hudson lower. Oswalt's 13-13 record, despite his other strong stats, apparently didn't go over as well as Felix Hernandez' 13-12. For Manager of the Year, I went for Dusty Baker, while the BBA and BBWAA both choice Bud Black. But it was a very close vote, with Black winning the BBA vote by two and the BBWAA vote by just one. I picked Baker over Black because Baker won his division while Black's Padres fell short. While San Diego did exceed expectations this year after a 75-win 2009, so did Cincinnati. The Reds won 78 games in 2009. Take note, 79-win Mets! The rookie vote was supposed to be a battle between Buster Posey and Jason Heyward, but everyone ended up picking the same top three. That is, except for the NL New York BBA chapter, which picked Ike Davis third. Sorry Ike, I couldn't put you ahead of Garcia, who was one of the better pitchers in the league much of the year, but I'm glad to see you finished in the top five in the BBA and top seven in the BBWAA vote. Even many Yankee fans seem to agree that Felix Hernandez was the best pitcher in the American League this season. The only argument in favor of CC Sabathia would be that he pitched in the pressure of a pennant race, but even there, he fell short. Sabathia was very inconsistent down the stretch, allowing at least five earned runs in three of his last seven starts, including seven against Tampa on September 23. He was great in most of his other games, allowing no runs in eight innings twice, including a game against Tampa on September 13. But if you're going to use pennant pressure to help decide the Cy Young, it's not good enough to be feast or famine. You've got to be the kind of pitcher who steps up his game in crunch time. That's what David Price was in 2010. In September, Price went 4-0 with a 1.67 ERA and 0.95 WHIP. Two of his wins were against the Yankees and the Red Sox, both on the road. In another game against the Yankees, Price allowed no runs in eight innings in a game the Rays eventually won in the eleventh. Price's two games against the Yankees happened to be the two that Sabathia pitched. The two aces both pitched eight scoreless innings in one of them, while Price gave up three earned runs and Sabathia seven in the other. Squawker Lisa, while I agree with your giving Price credit for his strong pitching in a pennant race, I can't go along with your picking Price over King Felix until they change the title of the award to Most Valuable Pitcher. Hernandez got his recognition in the second-place vote for his great season. And as much I love CC, I couldn't bring himself to give him a first or second place vote, especially since Price outdueled him several times. I thought he had the best combination of wins, winning percentage, ERA and a wide variety of other measurables when also factoring in the significance of his contributions.